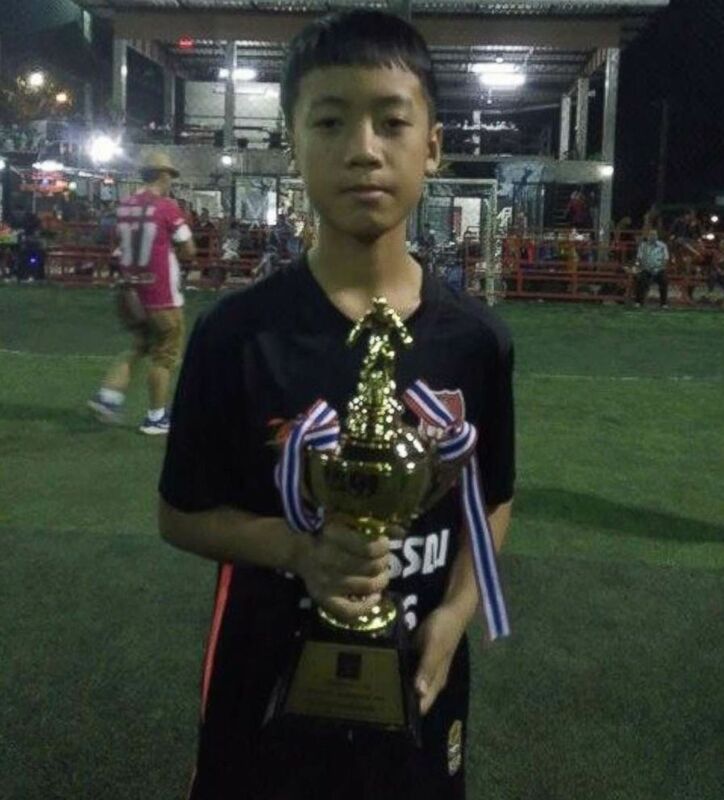 Chanin Wiboonrungrueng, 11, of Thai youth soccer team Wild Boars is pictured in this undated Facebook photo. 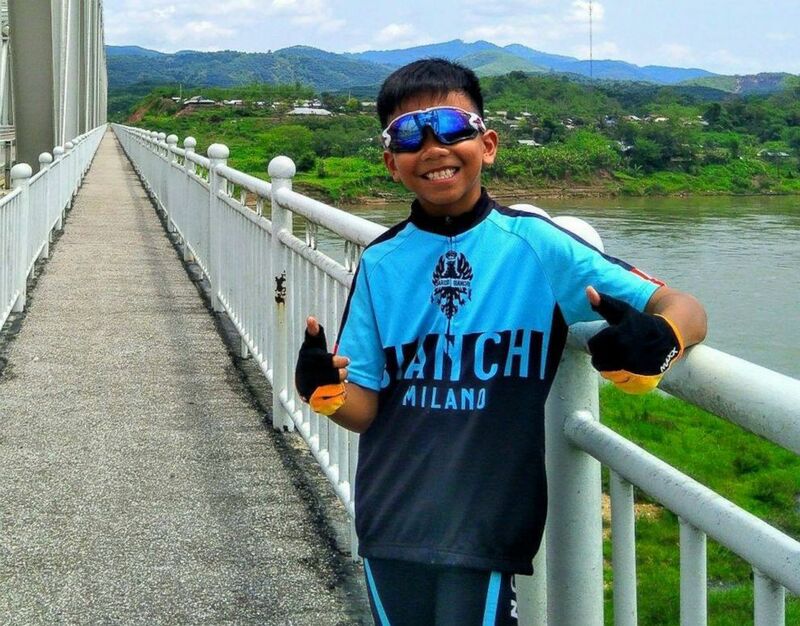 Panumat Sangdee, 13, of Thai youth soccer team Wild Boars is pictured in this undated Facebook photo. 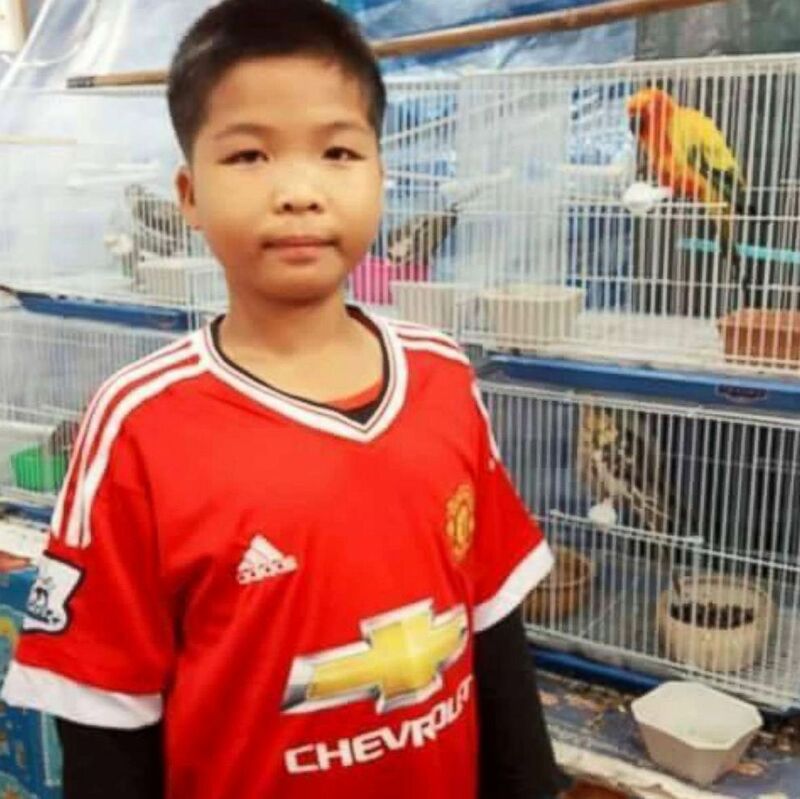 Songpong Jaiwong, 13, of Thai youth soccer team Wild Boars is pictured in this undated Facebook photo. 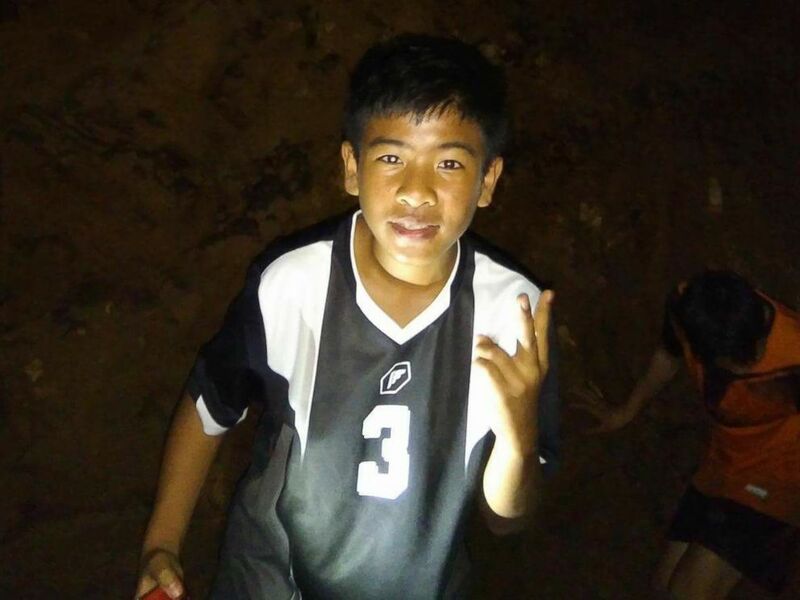 Monkol Boonbiam, 13, of Thai youth soccer team Wild Boars is pictured in this undated Facebook photo. 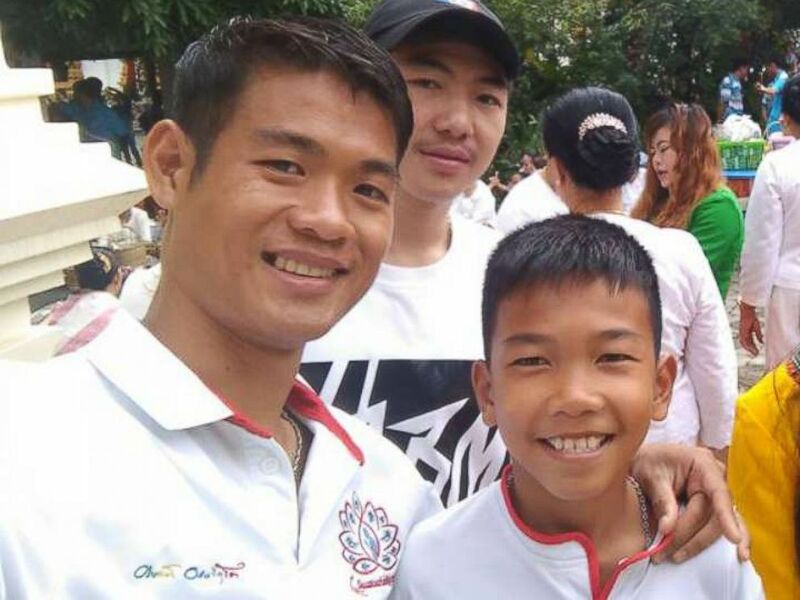 Eakkapon Chanwong, 25, the coach of Thai youth soccer team Wild Boars is pictured with Chanin Wiboonrungrueng, 11, center. 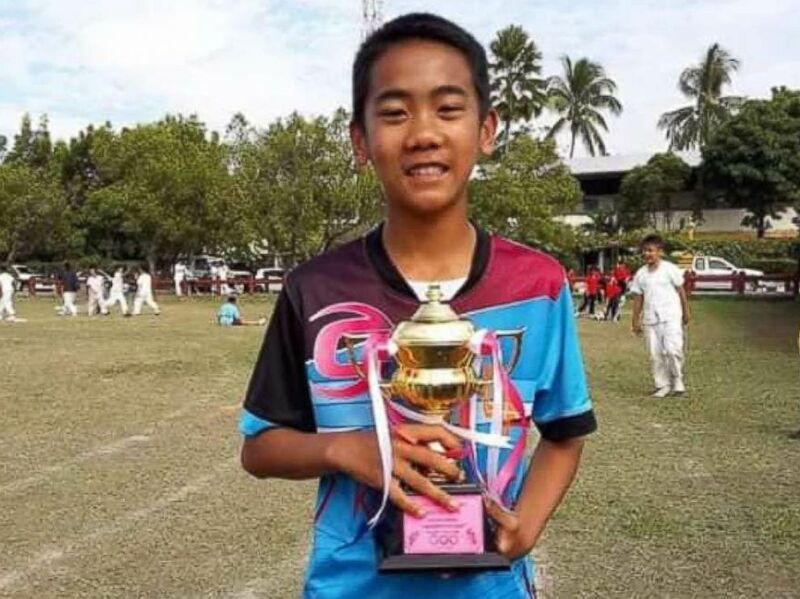 Eakkarat Wongsukchan, 14, of Thai youth soccer team Wild Boars is pictured in this undated Facebook photo. 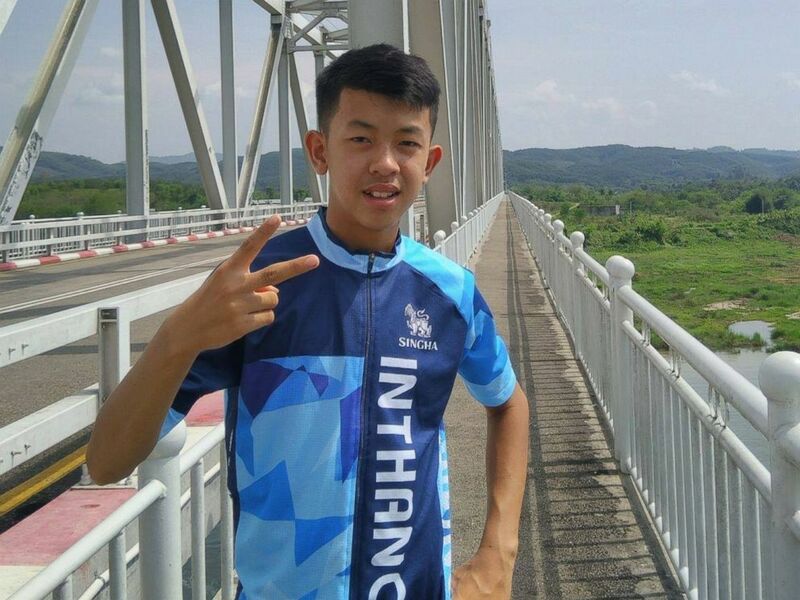 Duangpetch Promthep, 13, of Thai youth soccer team Wild Boars is pictured in this undated Facebook photo. 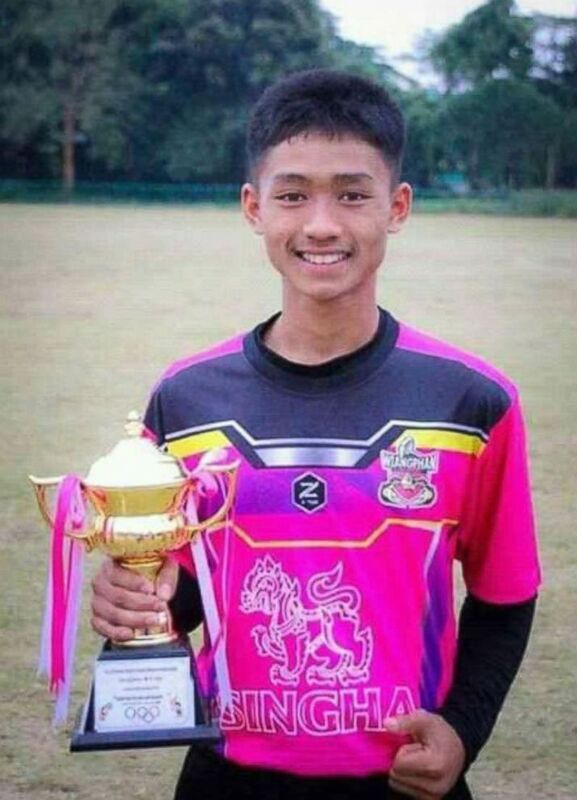 Ponchai Kumluang, 16, of Thai youth soccer team Wild Boars is pictured in this undated Facebook photo. 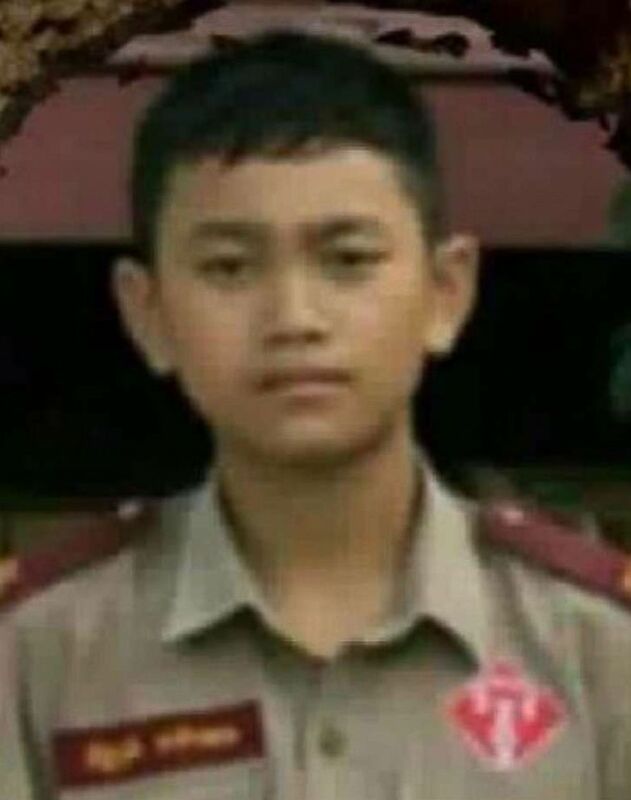 Adul Samon, 14, of Thai youth soccer team Wild Boars is pictured in this undated Facebook photo. 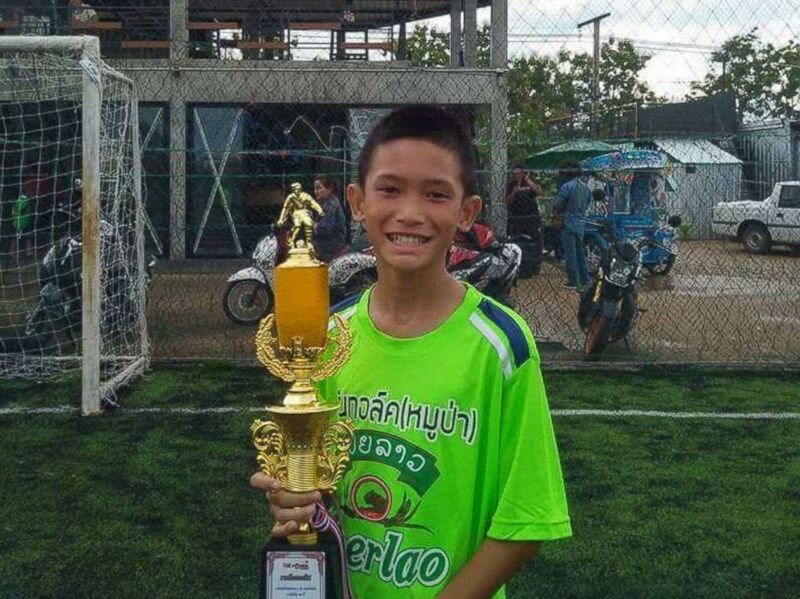 Nuttawut Takamsong, 14, of Thai youth soccer team Wild Boars is pictured in this undated Facebook photo. 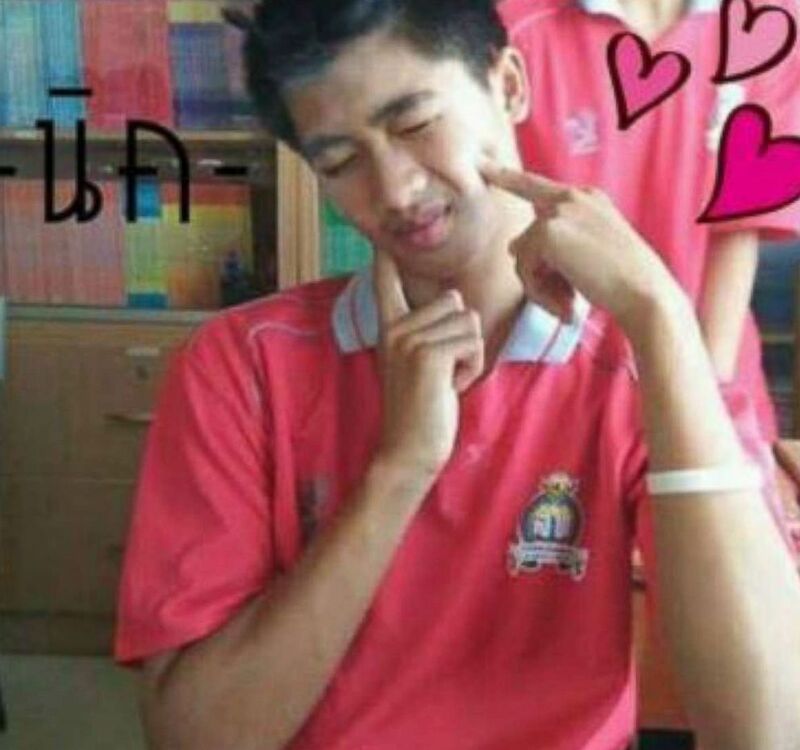 Prajak Sutham, 14, of Thai youth soccer team Wild Boars is pictured in this undated Facebook photo. 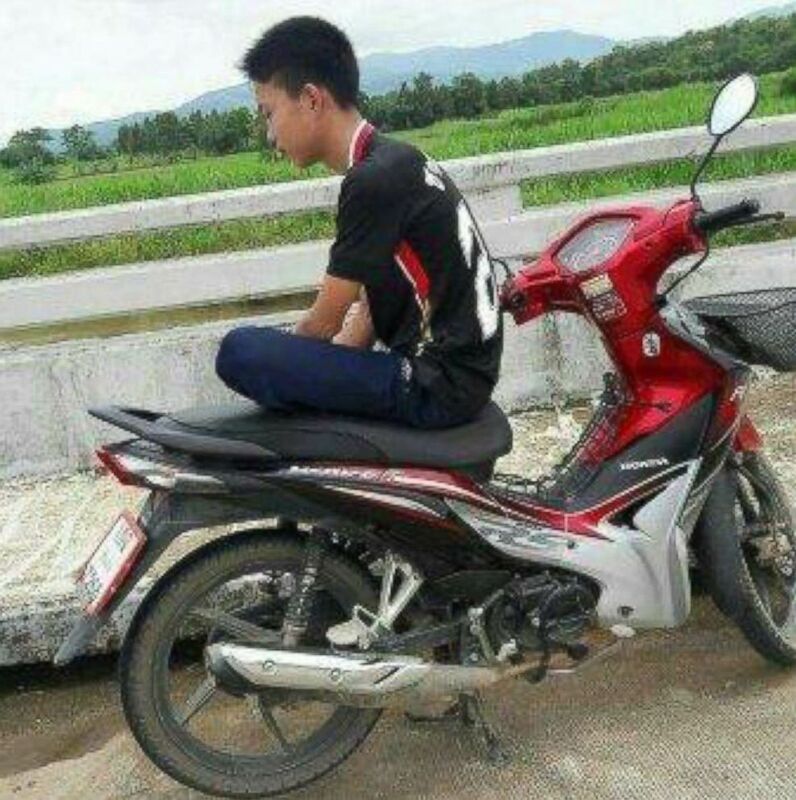 Peerapat Sompiangjai, 16, of Thai youth soccer team Wild Boars is pictured in this undated Facebook photo. 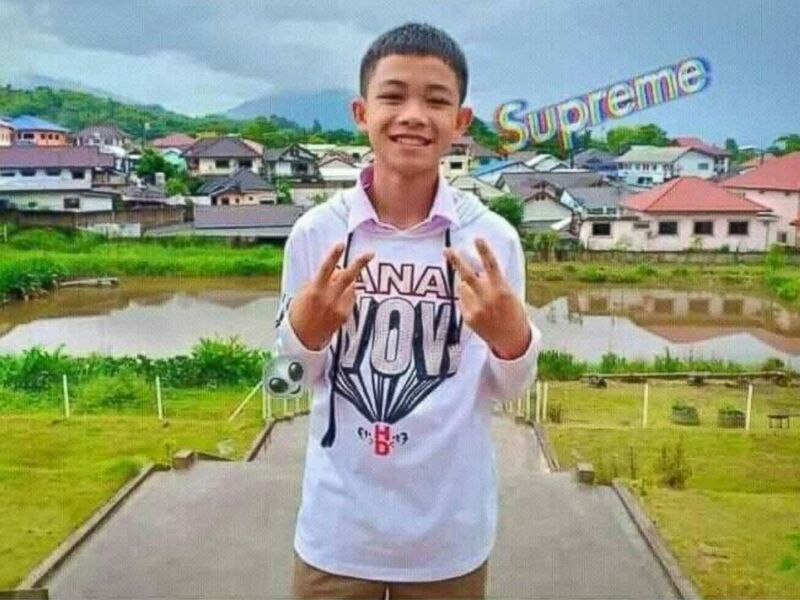 Pipat Pothi, 15, of Thai youth soccer team Wild Boars is pictured in this undated Facebook photo.